Phnom Penh, 25th December 2017— The EU and WWF continue cooperation for sustainable resource use and protected area management. Today, WWF and the European Union (EU) have signed an agreement worth 2.8 million EUR (equivalent to more than 3.3 million USD) for a project supporting the sustainable management of the rich forest resources of Mondulkiri Province. 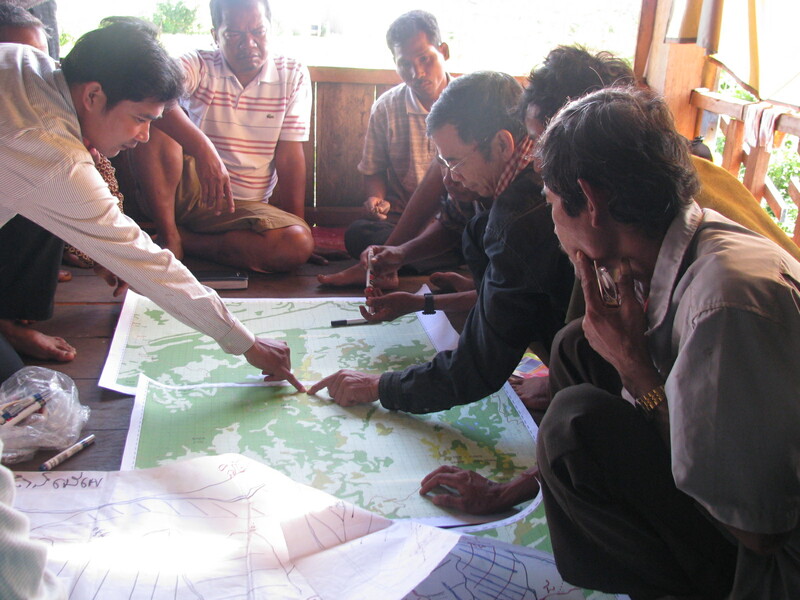 The 5 year project (2018- 2022) is called 'Advancing CSO’s Capacity to Ensure Sustainability Solutions (ACCESS)', and its overarching objective is to strengthen the role and participation of Cambodian forest dependent communities in improved governance, inclusive policy dialogue, and natural resources conservation in Mondulkiri province. The EU is funding this project, which is to be implemented by a consortium of non-governmental organizations long operating in Cambodia, including the World Wide Fund for Nature (WWF), Community Legal Education Center (CLEC), and My Village Organization (MVI), in order to specifically ensure the active contribution of members of forest dependent communities in Mondulkiri Province, organized into Community Protected Areas (CPA). These CPAs, located within larger protected areas, are inhabited and sustainably managed areas, legally granted to forest dwelling communities by the government in a clearly defined and zoned area. The designation of CPAs provides communities the rights to manage their forest areas, just as they have done, in an informal manner, for many generations. However, the communities still require official recognition of their CPAs at national level. CPAs have yet to be able to fulfil their potential to act as Civil Society Organisations in an effective way. The EU-funded project supports CPAs, and it will also engage in national policy dialogue and seek the implementation of reforms and legal actions related to the access, sustainable use and management of forest resources by these communities. The beneficiaries of the project will be 2,000 households located in 34 villages inside two adjacent national Protected Areas, Srepok Wildlife Sanctuary (SWS) and Phnom Prich Wildlife Sanctuary (PPWS) in Mondulkiri Province. Those two Wildlife Sanctuaries cover almost 6,000 km2 and provide agriculture and Non-Timber Forest Products (NTFP)-based subsistence livelihoods to over 30,000 people including 8,000 indigenous people. The majority of these communities have been living in the region for generations, sustaining themselves through the forest and being directly responsible for the conservation of these forest resources, preserving biodiversity for future generations, educating and encouraging others to participate in natural resources conservation and sustainably using these resources for income generation. The province in which these forest dwelling communities live, Mondulkiri, is the most sparsely populated and densely forested province in the country, which harbours rich natural resources providing vital ecosystem services to the people of Mondulkiri and beyond. The wildlife of Cambodia's Eastern Plains Landscape used to be the richest in South East Asia and has still a chance to be protected with the local communities who are under increasing pressure from external stakeholders and developers investing in large-scale agribusiness or mining operations; activities which are often at odds with conservation, local community livelihoods, and sustainable development. These “Community Protected Areas are like effective living fences to protect our forests and biodiversity” says Seng Teak, WWF-Cambodia Country Director. “Engaging and empowering these communities to sustainably manage the forest resources, at the same time, increasing their well-being is the way forwards for natural resources conservation.”As a key implementing partner, WWF welcomes the support of the EU on this vital issue. “We are delighted to financially support this project. It contributes to the efforts of the Royal Government on protected areas management and sustainable development in Mondulkiri. To make the project succeed, we encourage more effective law enforcement against illegal logging and poaching which threaten the integration of these unique landscapes and undermine local livelihoods” says the Ambassador of the European Union to the Kingdom of Cambodia, Mr George Edgar. “Community Protected Areas play a crucial role in environmental protection and sustainable resource use, and it is important that those people have strong capacity to implement their work. We hope that this model of community-led resource management can be replicated in the whole country. So it can benefit over 6 million people dependent on forest ” , he added. The project will begin in early 2018. WWF (Worldwide Fund for Nature) was established in Cambodia in 1995 as a part of the WWF Greater Mekong Programme. WWF’s mission in Cambodia is to ensure that there will be strong participation and support from all people to conserve the country’s rich biological diversity. Through the encouragement of sustainable use of natural resources, WWF-Cambodia promotes new opportunities for the benefit of all people, enhancing local livelihoods and contributing to poverty reduction in the Kingdom of Cambodia. Go to cambodia.panda.org for more information. The EU has long enjoyed a close relationship with Cambodia. Through substantial development assistance, support to the democratic process and a commitment to open markets, the EU has helped Cambodia in its efforts to build a brighter future for its population and to play an active role on the regional and international stages.